Photo copyright m. baldwin photography on Flickr. Nineteenth-century engineer George Ferris spent the last years of his life on Arch Street in the central North Side. 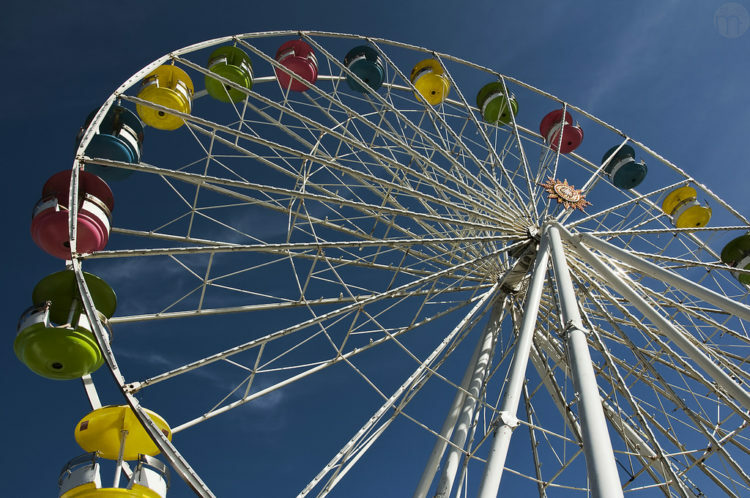 So it’s fitting that his most famous invention — the Ferris wheel — will be the focal point of Esplanade, a mixed-use development planned for a 15-acre site along the Ohio River expected to break ground in 2020. The project, says the developer, will showcase the area’s “awesome skyline element and beautiful sunsets” from its setting west of Rivers Casino. 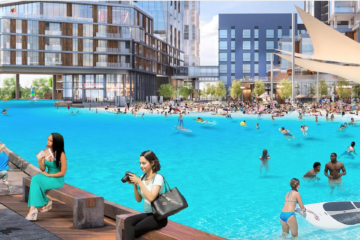 Piatt expects to include a full-service hotel and a mix of condominiums, townhomes and apartments — 700 units in all — within the project, which is expected to cost more than $500 million. Food and manufacturing incubators, water taxis and 300,000 square feet of office are planned, along with a marina and kayak rentals. To complement the climate-controlled “Pittsburgh Wheel” — which will operate year-round — Piatt is even entertaining the possibility of launching a small “Pittsburgh Firsts” museum on the site. “We want to pay homage to George Ferris by showcasing firsts that came out of Pittsburgh, including the Ferris wheel,” says Piatt. With 50,000 people passing through the area each week to visit Rivers Casino and attend sporting events, he sees the potential for Esplanade to become a T stop and a major destination for Pittsburghers and tourists alike. He also wants to give the community a stake in the outcome through sustainable design choices that align with Mayor Peduto’s p4 Pittsburgh initiative. One priority is improving pedestrian access for Manchester residents, who were cut off from basic amenities like a grocery store when Route 65 was built in 1965. LaShawn Burton-Faulk thinks they’re on the right track.